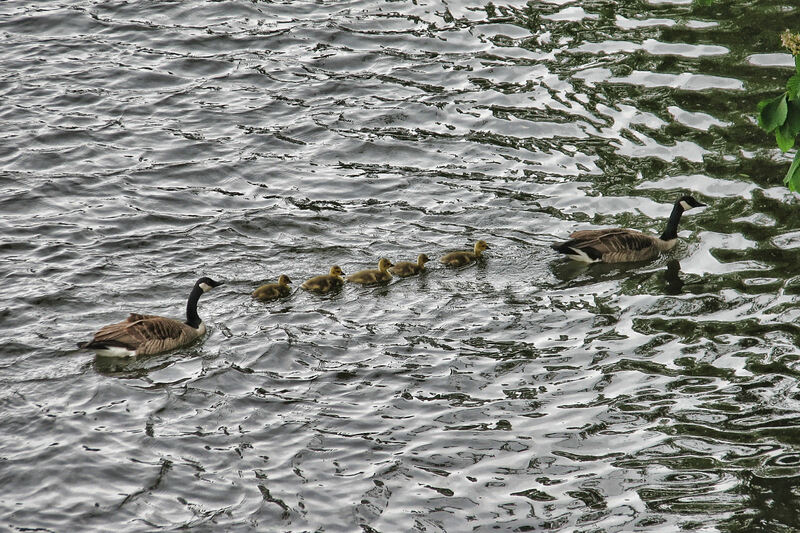 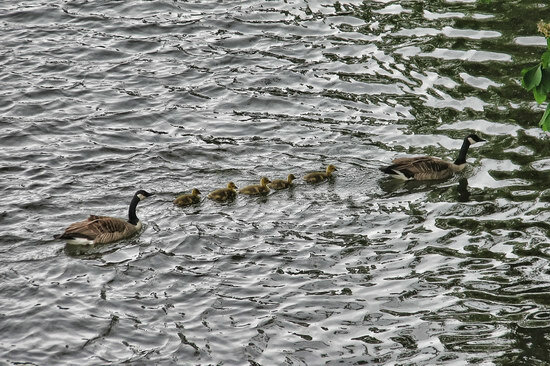 Five little geese with their parents, all neatly in a row :-). Another look out the window at our “backyard” – this is from a couple of hours ago, I took it specially for today’s #EarthDay and #MyBeautifulEarth by Google+ and TIME to show our corner of the Earth. 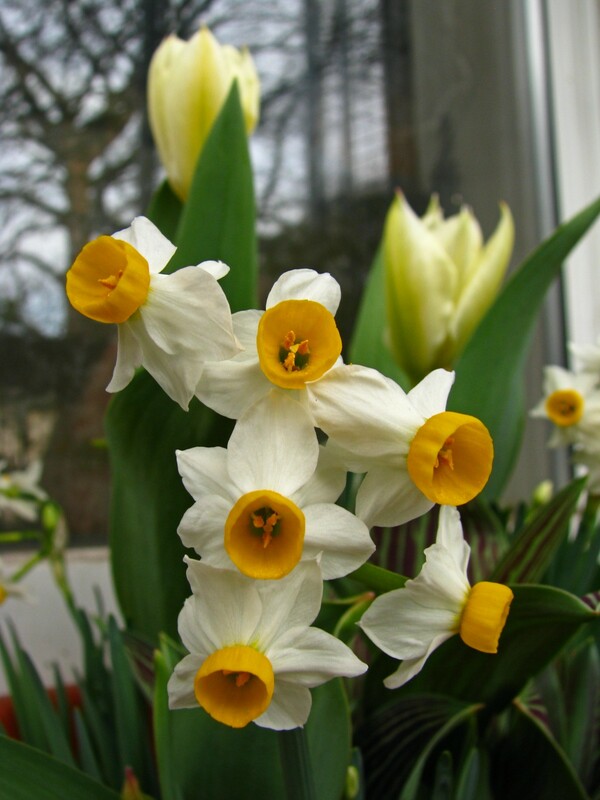 Mini Daffodils craning in all directions at once :-). 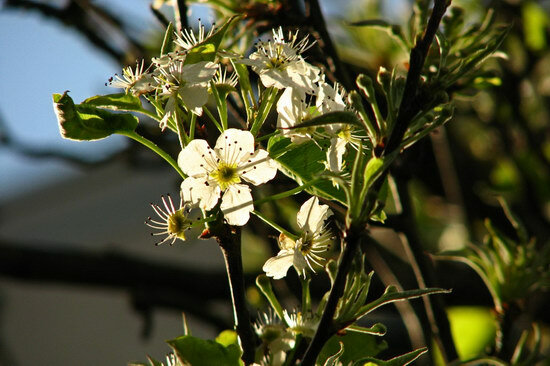 And even more tree blossoms, I can’t believe how many of these I got :-). 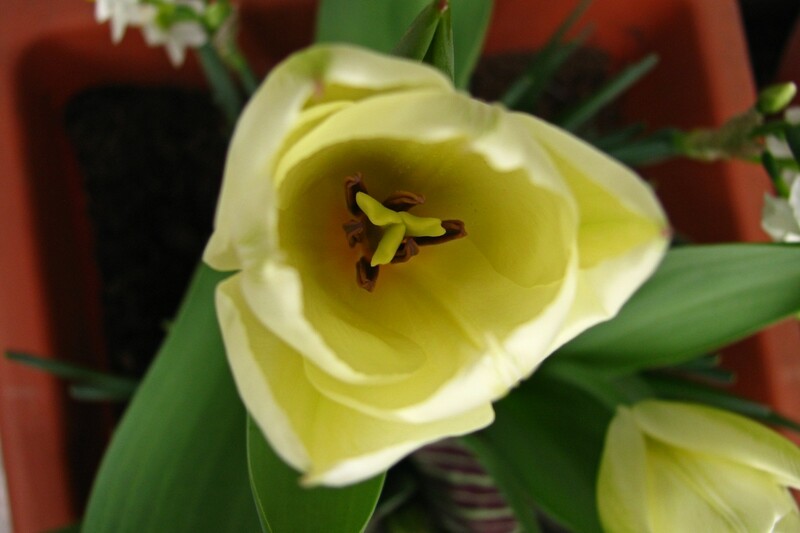 Back to the regular stream after the holidays – looking down into a yellow-white tulip.